Oceanatelier - a archipelago cottage 10 min drive from stockholmcity. Property 2: Oceanatelier - a archipelago cottage 10 min drive from stockholmcity. IPaD Sea Cottages "The Seaview getaway"
Property 21: IPaD Sea Cottages "The Seaview getaway"
Property 22: Private entrance, separated ground floor of 150 sqm in a villa, SPA-feeling! 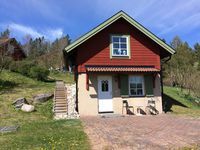 Property 27: IPaD Sea Cottages "Charming Seacottage"
Saltsjöbaden - Beautiful town in the archipelago close to Stockholm city. 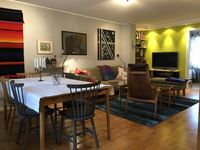 Property 42: Saltsjöbaden - Beautiful town in the archipelago close to Stockholm city. Close to sea & city. Property 47: Close to sea & city. The apartment is wonderful. Beautifully furnished. Perfect location. Great kitchen. Anna is absolutely fantastic. She made our visit easy and fun. We would rate our stay as truly superb! The guest house was very easy to find and not far from Stockholm at all by car! Martina and Anders were extremely helpful with advice on things to do in and around Stockholm. The advice and suggestions were invaluable with public transportation especially. They even gave us tips for the other places we were going to stay at in Sweden! The cottage was small and perfect for us. Kitchen worked great and the beds were comfortable. Definitely recommend for anyone who wants to be disconnected from the web and just enjoy the beauty of the Swedish landscape. The walk to and around the lake was very enjoyable. If we find ourselves in the T&auml;by/Stockholm area again, we would definitely stay again!